Creamy nutty toasty apricots, vanilla lanolin and citrus concentration on the nose. Crunchy creamy texture, bold yet soft, complex and focused with two years to develop. Bold floral juicy red fruits, blackberries mature spice aromas. 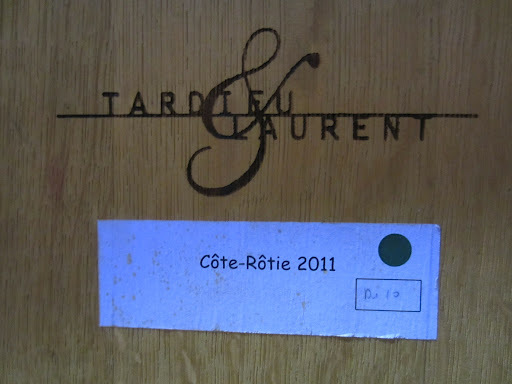 On the palate, generous full-flavoured fruit, soft approachable tannins, concentration and depth for this type of wine. Toastier and earthier stalky pepper notes, violets spice black cherry darkness aromas. Fresh light and tight on the palate, great lines and liveliness. Dark earthy meaty spice aromas, ruby blackcurrant and savoury plum concentration. Fresh pure and focused on the palate with tight tannin structure, still very closed. intense dark colour, very bold and juicy in fruit on the nose, black fruits with some toasty nutty oak characters. Dense and full on the palate, warmth and texture but still clean and bright, albeit very intense. Much meatier and earthier on the nose, concentrated savoury notes with wild feral spice unlike a chateauneuf wine. Concentrated spice and elegant tight structured tannins looks more like a Northern Rhone wine. Gentle fresh, lively and intense with crisp red fruits and subtle white pepper. Red currants pomegranate and raspberry fruit on the palate, broad and mouth-filling but light and approachable. Strong aromas of wild game and red cherry, complex tight nose. On the palate very velvety opulent tannins, long finish and purity with vibrant acids keeping things fresh. Incredibly seductive nose, dense floral stalky spice notes, slightly feral with blackcurrants. Juicy, juby and concentrated on the palate, bold and expressive dark fruits and tannins. Very tight, concentrated yet bright aromas, lean and mineralic with subtle focussed fruit. Extremely austere, and also very closed at the moment so a more challenging wine to approach this soon, needs more time. Intense earthy savoury fruit nose, very red and bold. Full-flavoured yet generous, bold texture and grainy tannins, well structure intense fruit that needs time to balance before bottling. Click here to read the original post about my visit to the winery.